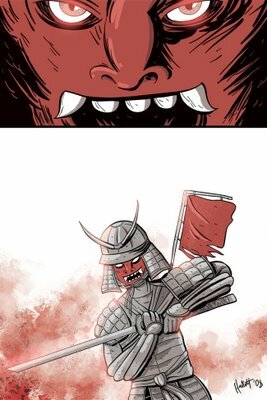 "Samurai" was this week's topic at Drawer Geeks. I haven't had any real time to draw anything just for myself (which is actually an awesome thing... more on that later), but I couldn't pass up Samurai! That being said, I tried quite a few new things in this one, some successes and some not so much. Interesting experiment none the less. Enjoy!